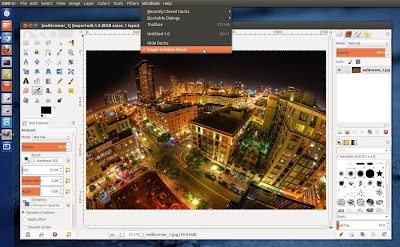 GIMP 2.8 has been finally released after being in development for more than three years. New features include single window mode, layer groups, on canvas text editing etc. To Install GIMP 2.8 from PPA in Ubuntu 12.04 and 11.10, run the commands below. These are GIMP 2.8 RC1 builds but newer stable builds will be available soon. Also, these packages may break your system or existing GIMP installation so use them at your own risk. GIMP 2.8 Source Code can be downloaded from here.